"Automated our current process for monitoring and documenting Open Source dependencies"
Really impressed with their service, and the response time when an unknown library needed resolution. Very detailed information for most of the open source dependencies. Dependency version history and their vulnerabilities have been helpful. UI and the usability of the tool and its plugins makes it easier to use. We still come across a lot of dependencies which are still undetected by the Tool, but they're later resolved once we request resolution manually. I suggest their Database to be frequently updated. Some features we requested were still not implemented, specially the feature to display an attribute for "folder location" for dependencies uploaded from a disk location. The tool needed a lot of tune up before first use. If your requirements fits the whitesource specification, I would then definitely recommend it. Also sort out all your feature requests before purchasing the full software. Automation of our existing process, which in-turn saves a lot of hours and the risks associated with Open source dependencies. "A could-be-amazing tool that still has some way to go"
I find the risk report being the most useful thing, other features are on the way to being good but still need some work done. It does seem to detect potential license violations quite well but for instance it doesn't deal with dual licenses: e.g. when a component is licensed under GPL AND MIT the tool will identify it as a violation even though it's no longer the case. Most usability issues. The tool just doesn't do the workflow that would be optimal in my opinion. The components seem disjointed, the user interface is a bit clunky and it's quite difficult to identify necessary actions once an issue has been identified. However, I do feel that the engine part is quite solid, what the tool needs is a massive re-think of the UI. I would strongly recommend making sure that the product is suitable for the intended purposes and the in-house users are comfortable with the UI. Trialling the product can be a bit of a pain especially as they insist on knowing your full company details and intended purposes just to allow you to have a look. During trial I was very satisfied with the product and only during full deployment of our 30+ individual maven projects did I start suffering from the usability issues. We have to identify potential non-open source components in our source code as well detect any security vulnerabilities in our 3rd party components. "WhiteSource is facilitating our life"
With WhiteSource, the open source governance is fully automated. We just have to add their plugin in our CI tool and our Open Source dependencies are now managed with WhiteSource. Compare to our previous solution (manual and painful) it's a huge win. We would like to export our reports with the PDF format, but this feature is missing for the moment. Except that, WhiteSource is a very good software. Before using WhiteSource, we were using a manual solution to scan our Open Source dependencies. With WhiteSource, we now have a solution to do a continuous analysis of our Open Source dependencies. We are spending less time on this subject and WhiteSource is able to generate all the reports we need. "Simple tool for more visibility around our libraries (versions, security vulnerabilities and bugs)"
The online interface looks nice and is easy to use and intuitive. WhiteSource allows us to easily see all of our 3rd-party Java libraries at a glance and quickly tell which ones we need to fix- whether they conflict with our license, have security holes, or need to be updated. What used to be a manual process (as in no one ever really did it..) is now a nice automated process. What really shines is their support- they are quick to meet with us and solve any issues we have. Even during the evaluation period, they made improvements to the product in areas we were concerned. It always pays to have awesome customer support. I know if we run into any other issues that they'll be quick to fix them. WhiteSource has trouble with C++ libraries, but its not a deal breaker. It just requires more manual work. However, I expect it to get better as we get everything set up+ I know the WhiteSource team is continuing to improve this part. Also, I would appreciate them improving the Jenkins plugin. It doesn't support variable replacement in the includes/excludes, so I was forced to use the command-line tool. The WhiteSource team mentioned that they would look into fixing it. We needed to go through all our 3rd-party libraries to make sure we aren't going against our license or company policy. We also wanted to be able to fix security vulnerabilities before they make it into our product. Furthermore, in the future, we want to continue to ensure that future added libraries do not cause issues. Recently found out that they have a simple workflow for approving libraries, so that is a nice bonus. "Bootstrapping startup that will go the extra mile for service"
I don't really have any complaints. They are growing which means some features are still being built-out. But any time I have had a problem, whitesource has gone the extra mile to provide a work-around or solution. So it's not really a big deal. Really dig in to whether or not these companies support your stack. We wasted a lot of time looking into companies that knew very well that their software didn't even work with our tech-stack. Their plan was to get you to sign a contract and then bully you into professional services. With whitesource, run a trial. Take a sample collection of code and scan it. Have them show you the interface and play with the demo. It is such a great experience and you'll find out right in the beginning how well they fit. Past this, it's very easy to expect a software package like this to do all these tiny little things. But once you get into it, you realize you don't actually care about half of it. So really think about what's important to you in this process and you can save a lot of time. Also, remember that the folks at whitesource do this for a living. So if you don't understand something, or want to know how other companies handle a certain problem... ask whitesource! They have a great level of experience and could even save you a lot of time and money guiding you to the right answer. We are trying to make sure we respect all open-source contributors and authors by respecting their licenses. And Whitesource does a great job of helping us do that. Beyond that we get the added benefit of security scans and automated alerts from their system, as well as our CI. We would eventually like to enact some policies using whitesource so that we can find and correct license issues long before production. I haven't gotten into the policy side of whitesource too much, but it seems pretty straightforward. And I know they plan to continue expanding that. "Whitesource Reseller (Australia and New Zealand"
I love the software and the benefits it provides to me, and to my clients. I have worked with Whitesource for the past year and I really love the software and the experience dealing with Whitesource the company. At present, I really can't think of anything that I dislike about Whitesource the company OR Whitesource the software solution. Try it. If it works for you, I recommend you purchase a subscription. I am assisting my clients to solve their business issues with regard to use of Open Source, such as inventory, code quality, licensing concerns, and potential security vulnerabilities. "White Source for Open Source Software Management"
Quick and easy setup. The trial was very quick to get up and running and the support through the trial process was excellent. The interface is simple and easy to get at important information. Support has been quick and responsive. There are a few features missing that would make dealing with large codebases and large amounts of managed open source libraries much easier. Reporting could be easier, it does not export filtered down lists so while you can filter down lists in the product, the filtered down results do not export, it instead exports the fill results. Understand what you are trying to get out of open source software management. This will help you better evaluate reporting, workflows, and key features. Managing our open source license usage and enforcing our open source usage policy. Managing key library version updates and security vulnerabilities. "License- and Dependency Tracking on the go"
Really easy to setup, convincing technology to scan for dependencies - as long as you run pure Java projects with maven. License reports can easily be produced to satisfy RFPs. The tool is sometimes slow. Non-Open Source but widespread libraries such as Microsoft SQL Server Driver are missing. Really use the trial to evaluate to completeness and integration of the tool into your deployment systems. c) Regularly check for library updates. d) Check for vulnerablities in third party libraries. e) Get notified when license policy has been hit by a commit. All the steps have been done manually before and the tool really saved time. "In no time you are ready to scan your open source libraries"
*High quality of the staff, they know exactly what they are doing. The initial request for information was rather poorly documented. Also the level of detail provided to our technical questions was sometimes too low. Using the tool we will have a clear view on where open source code is used in our systems. We'll have a view on the vulnerabilities and the licence conflicts. 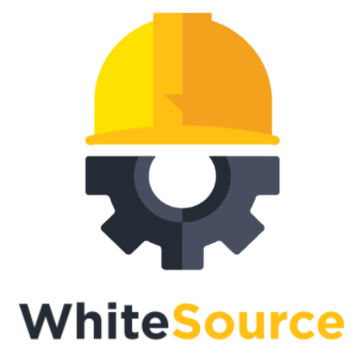 "White Source Open Source Compliance "
Easy to integrate open source policies directly into your Continuous Integration. Much more cost effective than Black Duck. Open Source compliance used to be an expensive, manual process. Now it is continually happening as part of our day to day process. Reactif for customers issues and services. Well understanding the customer's issue and quick remediation. Wide panel of services proposed but some of them not really well implemented with bug fixing needed. Involving my whole company for using White source, most particularly developers teams. Having reduced the among of high and critical vulnerable products. "Great Product to identify OpenSource violations & Vulnerabilities"
"Using WhiteSource integration to Continuous Integration system"
The ability to compare the versions of open-source libraries. The quiltly slow dashboard web-interface. Complete view over the third-party libraries we use. * We monitor all WhiteSource Software reviews to prevent fraudulent reviews and keep review quality high. We do not post reviews by company employees or direct competitors. Validated reviews require the user to submit a screenshot of the product containing their user ID, in order to verify a user is an actual user of the product. Hi there! Are you looking to implement a solution like WhiteSource?